Last week I heard that Gun’s n’ Roses were going on tour in North America. The first thing I did was work the Google machine to see if Axl and Slash had finally made nice. 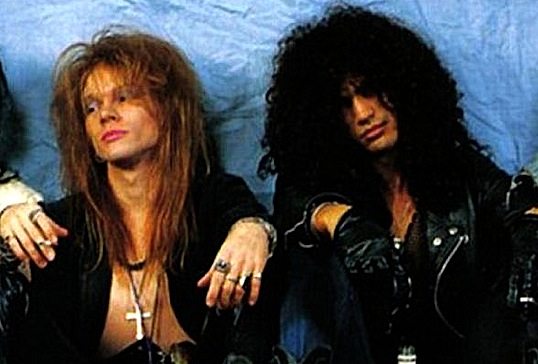 Neither Slash, nor any other original member, will be joining W. Axl Rose for this tour. It will merely be the lead singer performing alongside a bunch of people you’ve never heard of. It’s not like all the former members hate each other. In fact, getting them together in a room is actually quite easy, you only have to mention that Axl won’t be there. This is a shame because when they were operating as the Most Dangerous Band In The World, Rose was often the only thing holding them together. Now he’s the only thing keeping them apart. Under most conditions it can be hard to keep a rock band together, but it’s even harder to do when they’ve achieved everything they hoped for. It’s not usually the battle to become the best that kills a band, it’s usually the divvying up of the spoils. What’s great about this break up is that even though it was committed in about as cowardly a fashion as the 1980’s allowed for, Morrissey at least contacted Andy to let him know that the relationship was over.